You've found the perfect home, but you've only seen the surface. What's the plumbing system like? Is the air conditioning unit in good condition? Should you be concerned about those cracks in the foundation? All Homes Inspection can help you answer those questions with a home inspection. We'll investigate any problems that may exist in your home so you can have a better understanding of the investment you're making. Contact us at 859-621-0504 to schedule your next inspection. Accepting Visa, Discover and, Mastercard! Dial 859-621-0504 today to learn more about our inspection services. All Homes Inspection is a business located in Lexington, KY and dedicated to finding structural issues, mold and damage on your property. 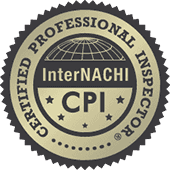 We are certified by the International Association of Certified Home Inspectors (InterNACHI) and the International Association of Certified Indoor Air Consultants (IAC2), so you can count on us for a thorough and competent assessment of your property. We complete inspections for homes and small commercial properties, such as office buildings, dentists' offices and doctors' offices. Choose All Homes Inspections to help you identify the potential issues in your home or business.